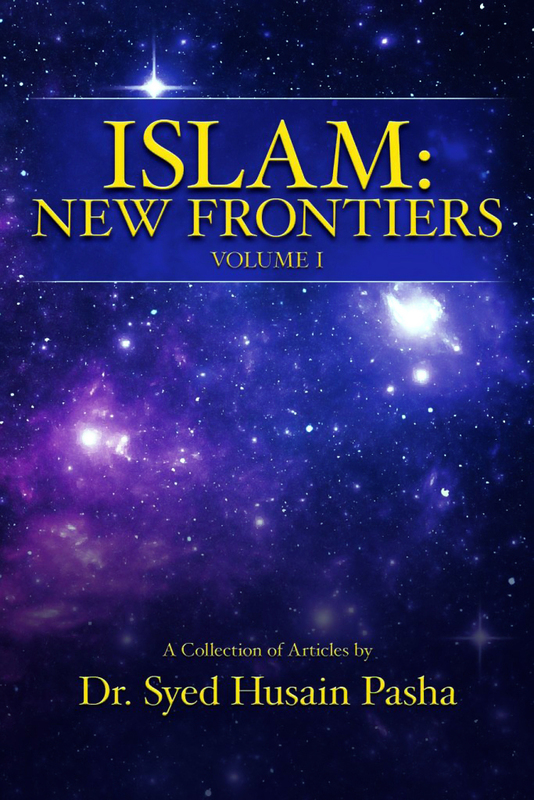 Islam: New Frontiers is perhaps one of the most serious and challenging books in our hands today – on just about any topic. At the same time, paradoxically, few books are perhaps more fun or exciting to read or contemplate. For, the book is on Islam and Muslims, and there is no more serious or significant topic in today’s world than that one. And on top of that, the book is based almost entirely on the Qur’an, which is an extraordinary methodology to use in this time and age to say the least. The object of the book seems to be nothing less than a complete restructuring of human thought and inquiry on the most fundamental notions of God and his creation on the one hand and the nature of humanity’s role on earth on the other hand. If the name of the game is taking dominant sociopolitical, cultural and communication paradigms of the day and flipping them on their head, then there is no stronger candidate for that role among today’s publications than Dr. Pasha’s Islam: New Frontiers. Nor is there perhaps a book more relevant to the turbulent times through which our world is passing today. The Publishers are owed a debt of gratitude for making a publication of this moment and significance available to the English-speaking world at this juncture in our history. If the book is read with the seriousness and attention it merits, it has the potential to have as profound and far-reaching an impact on religion, society, government and human relations as Charles Darwin’s Origin of Species eventually came to have on scientific and social thought nearly a century and a half earlier. Dr. Pasha is perhaps one of the most fearless and original thinkers of a generation. The Muslim world – and in many ways the rest of the world – has not produced a clearer or more energetic analyst or thinker like him on the topic of Islam and Muslims since Iqbal and Maududi of India, Syed Qutb of Egypt and Ali Shari’ati of Iran. His style combines clarity and rationality with a hint of sarcasm and humor all of which make his writing powerful and irresistible, even when it unfolds in its lighter vein which it does from time to time. In the confusion and chaos that sweep the world on Islam and Muslims today, Dr. Pasha’s Islam: New Frontiers is a must-read for everyone, everywhere. Whether in the mass media or blogosphere, and whether in the universities or in government and policy circles, and regardless of whether that person is a Muslim or a non-Muslim, Dr. Pasha’s Islam: New Frontiers is one book that no thoughtful reader can afford to miss. 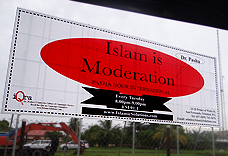 Dr. Pasha is an American academic with a strong Islamic background. “Dear Dr. Pasha: Thank you so much for this book. What an inspiring reading…. The book gave me so much reasons why I’ve chosen to embrace Islam as a way of life. As a new convert, this book is an epiphany for me; you’ve absolutely encapsulated everything I do read from the meaning of the Koran, and the book epitomises Islam with tremendous sincerity, and this is what I believe Islam is all about. It was Allah’s blessing to write it. It is Allah’s blessing to have you read it. It is Allah’s blessing that we were all guided to the Qur’an in one way or another. May Allah make his blessings last on us forever. And may Allah bless you for reading and reacting to it in such a wonderful manner. And may Allah bless all those who in any form or fashion helped with the editing, printing, promoting and distribution of this book. May Allah grant it acceptance and open the hearts and minds of people for it and to his Haqq — Truth — through it. Chapter 1 What Payaam Are We Talking About? Chapter 3 Payaam-e-Maghrib = Payaam-e-Mashriq = Payaam-e-Qur’an? Chapter 4 Allah’s Boundaries: What a Glorious Concept! Chapter 6 If Not Allah, Then Who? Chapter 12 Divali, Thanksgiving, Christmas! It Is Us! It Is Us! It Is Us! Chapter 13 Did You Say “Christian Islam”? Sorry, Does Not Compute! Please request free copies of our books and booklets for your family, friends and local libraries today! Send us your correct address and contact information and a brief introduction who and where you are and what you do. And we will be happy to try and send you our literature free of cost.